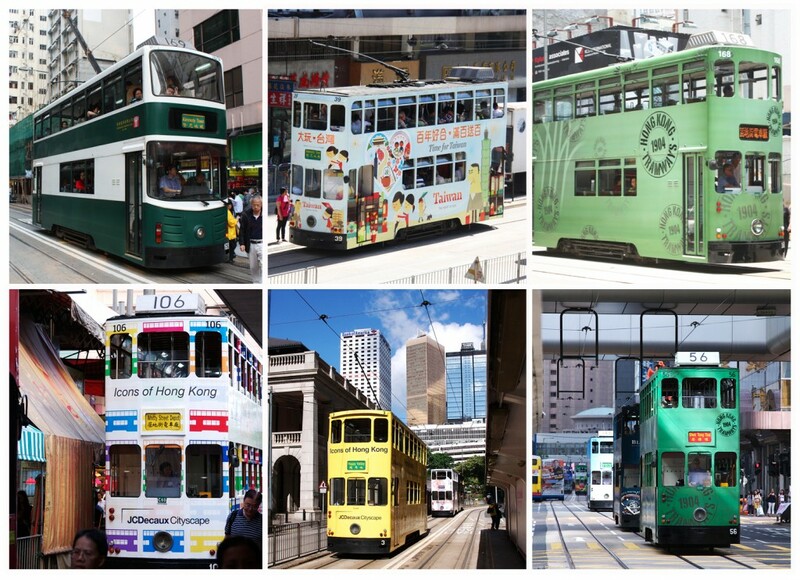 HONG KONG – They’re old-style, double-decker, eco-friendly and come in multiple, cute colors. They’re called street trams and Hong Kong is one of a few cities to still use the double-decker version. It’s also my preferred way to get-around the city. Yes, the double-decker street trams…possibly the slowest way to transverse Hong Kong, but also one of the most relaxing. The city’s first transportation system, riding the trams is like traveling back to a classic bygone era. That is one of the reasons I love the trams, though I also find the open-air rides (they’re covered but the windows can be lowered), the upper deck views (perfect for checking out the city), and the clean fuel aspects (they’re electric powered), to be attractive as well. Maybe I’m just indulging my inner Thomas the Tank Engine but if you’ve experienced Hong Kong’s street trams, then perhaps you know what I mean. If not, then here are a few tips to help ensure your first-time is a memorable one: First, board at the rear of the tram and exit (and pay the HK$2.30 fare) at the front. Second, make your way to the front of the tram at least one stop before you need to get off or you may miss it. And, third, avoid the trams on Sundays and holidays when they become the preferred mode of transport for Hong Kong domestics on their day off (they’re jam-packed). Unfortunately, there is one, rather big downside to Hong Kong’s street trams: they’re only available on Hong Kong Island, along Victoria Harbour, from Kennedy Town to Shau Kei Wan (about 30 kilometers). The other major parts of Hong Kong – Kowloon, New Territories and Lantau Island – are, sadly, street tram-less. And what about Hong Kong’s other get-around options – how do they measure up against their street tram cousins? Well, the MTR (or subway) is the fastest way to get around the city, but it can be one of the most annoying. Hong Kong subways are incredibly crowded, plus, any semblance of subway etiquette is mostly non-existent, which means shouting, shoving and pushing tend to be the norm rather than the exception. Similarly, public buses aren’t the cleanest and can get awfully crowded, while mini-buses require you to know a bit of Cantonese so are best left to the locals. Taxis can be great way to get around, but can be impossible to flag during peak times, whereas, the ferry (while pleasant) is limited to crossing Victoria Harbour from Kowloon to Hong Kong Island, unless you happen to be heading to the outer islands. So, that leaves the old-school double-decker street trams or, in the world of Thomas the Tank Engine, Hong Kong’s little engines that could. Aaaall aboooooooaaaaard! 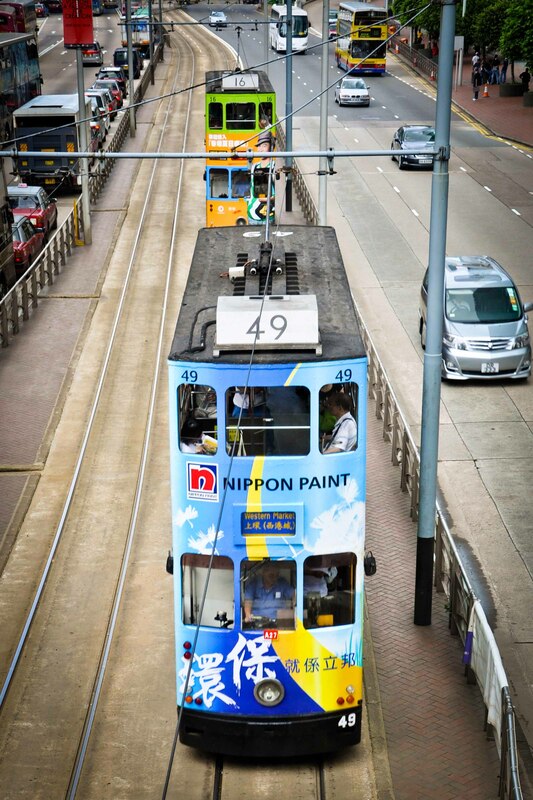 What are the little things that make the HK street trams worth a ride? Riding the upper deck on a warm afternoon while taking in the sights, smells and sounds of the city; plus, the trams are so darned cute!